Hope Restored Human Services has a wide range of care services to suit any consumer’s needs. Because our focus is compassion, hope and health, our nursing staff, caregivers and social workers will work closely with you and your family to guarantee the necessary care and education for optimum health. Skilled Nursing – Assessment and Visits – for consumer with chronic illnesses or those who have just been discharged from a hospital, we provide skilled nursing assessments, visits and training, in order to ensure recovery and proper monitoring. It is important to have skilled and licensed nurses that provide updates to you and your loved ones, as well as administer professional care and health services. We coordinate medication usage with personal care physicians and train aides on reminders. Personal Care Services – for disabled consumer or elderly with mobility problems, it is important that they still have the support they need to be able to live a productive and dignified life. We provide personal care services to assist you with personal needs such as hygiene and grooming. Call us at 617-328-1340 for more information about Personal Care. We look forward to assisting you soon. Respite Services – A temporary place for intervention/emergency for consumers’ needs. Respite placement assists care aides with needed break to de-stress and re-energize from their regular responsibilities as primary caregivers. Our valued consumers need the breaks as well. 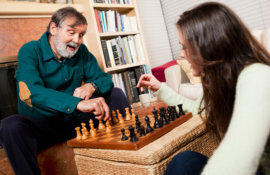 That is why under our respite care services, we work out suitable periodic schedules for both the aides and consumers. If you have questions about our respite programs and services, please call 617-328-1340 to talk to a respite care coordinator. Companion Services – Our team will provide companionship for consumers, in order to eliminate possibilities of isolation and depression. This service is geared towards helping consumers stay socially and physically active. We realize that having someone to share your day with can be therapeutic by itself. 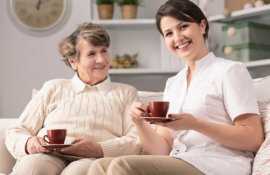 Home Health Aide – ensures that you are cared for when, where and how, in accordance with your personal physician’s recommendation and that you are on top of your health – at the comfort of your home. Among several other needed duties, our home health aide services supervise activities of daily living (ADLs), assist and encourage consumers to follow prescribed exercise programs. Homemaker Services – include home upkeep and maintenance which are very often difficult for the elderly or disabled individuals. This service extends to areas such as: planning, preparing and serving meals, making and changing beds and other light housekeeping chores. Adult Foster Care Services (AFC)/Group Adult Foster Care (GAFC) – At Hope Restored we offer professional support through state funded program that transforms lives. This service allows seniors and persons with disabilities secure needed assistance with personal care tasks – at the comfort of their homes and in the community they have been used to, with qualified and approved care-givers who could also be a family member. The duration, extent and type of services we provide will depend on your needs and your physician’s diagnosis. Our Registered Nurses will provide a thorough assessment to help decipher the type of care and services most suited to your health needs. You will be guaranteed maximum care within the comfort of your home. All our services are supervised and coordinated by Hope Restored’s highly-skilled and highly-trained professionals. We provide services to several government agencies within the Executive Office of Health and Human Services including MassHealth, Mass Rehabilitation Commission, Mass Commission for the Blind, University of Massachusetts Associated Brain Injury Program, (ABI) as well as the State’s Money Follows the Person Program.